A new Enterprise Manager has been appointed to manage one of Cardiff’s most well-established farmers’ markets. Carol Adams was recently appointed as Enterprise Manager at Riverside Real Food; the creators of Cardiff’s original farmers’ market which pops up weekly on the Taff embankment (opposite the Principality Stadium). The market (which recently celebrated its 20th anniversary) is widely recognised as one of the key food attractions in the Welsh capital and is a showcase for some of the best food producers in Wales. Launched in 1998 by a group of local food enthusiasts, the market has grown to become one of the best-known farmers’ markets in the U.K, and now includes a sister market in Roath, and a Friday market in Rhiwbina. 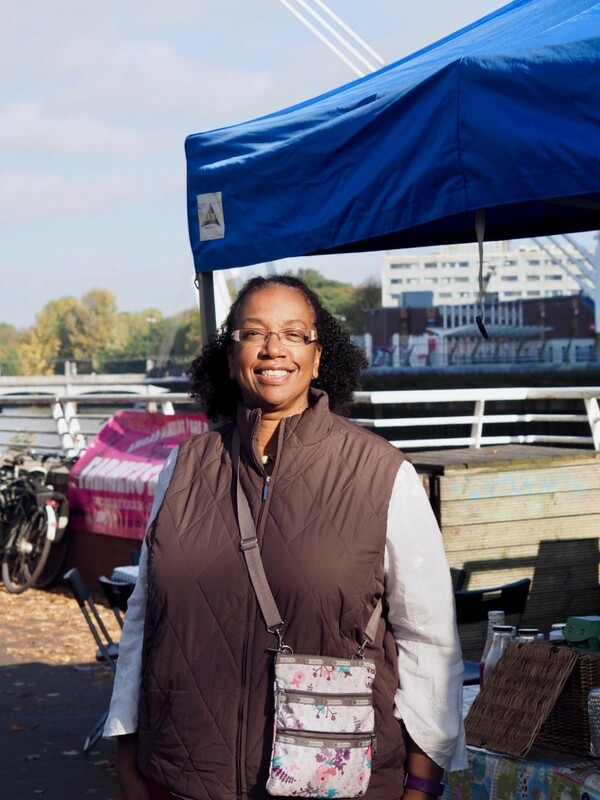 Carol’s appointment to the Riverside Real Food team is a natural fit; the Bahamian American has long been connected to the food scene in South Wales. A certified Agrifood consultant, in 2013, she set up her own food tourism company, Food Adventures, which later became a co-operative promoting international skills-sharing and learning exchanges through food. In March 2015, she founded the South East Wales group for the Slow Food movement; a not–for–profit organisation seeking to promote a better way to eat, celebrating the rich food traditions, and protecting edible biodiversity. Now, in her latest role as Enterprise Manager at Riverside Real Food, Carol has launched a new initiative called Real Food Real Life. It aims to celebrate the ways in which food connects us to our culture, history, wellbeing, art, music, literature, health, landscape and community. Taking place on a monthly basis at the Roath and/or Riverside Markets, Real Food Real Life will consist of informal events ranging from cooking demos, craft demos, music, dance, poetry readings, fitness classes – and more.